When it comes to decluttering and organizing, we need to discuss the amazing strategy of “Space Limits”. 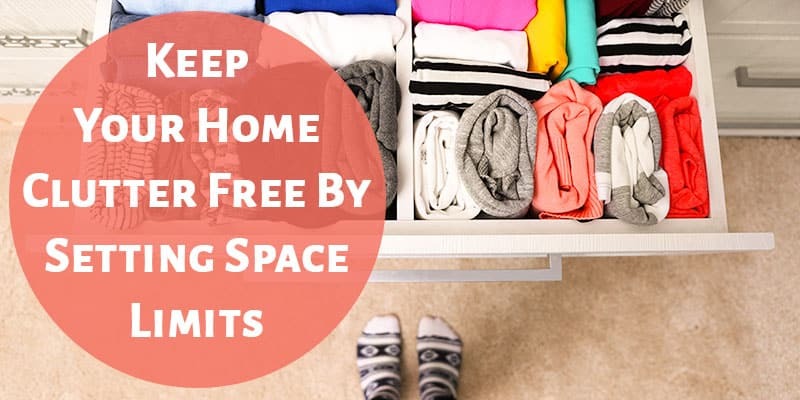 Space limits not only aid in decluttering and organizing, they help keep your home clutter free. 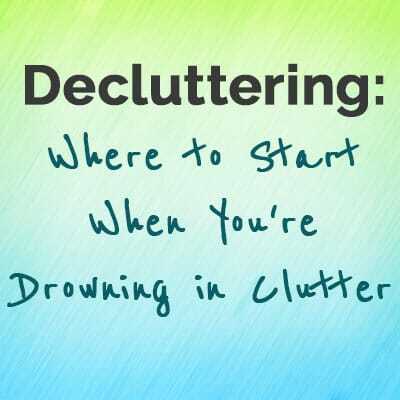 And we all know that maintaining a clutter-free space is where things can quickly fall apart. So, what are space limits and how can you use them? Super simple: Space limits are a self-imposed limit on how much room a category of items is allowed to take up. Once that category has exceeded it’s space limit, it’s time to declutter. How Can I Use Space Limits? Space limits can be used in every area of your house! You could buy 50 hangers and say that you can only have as many clothes as can fit on the hangers. If you acquire more clothes, you have to declutter until all of your clothes fit within the space limit of 50 hangers. Austin and I have a space limit on our storage stuff. We each have one large storage tote that we use to store our childhood memories-type items: birthday cards, yearbooks, photos, stuffed animals, etc. Over time, our parents gave us more and more of our childhood things. We each pared down until we only kept the most special things that could fit in each of our totes. You can only keep as many books as can fit neatly on the bookcase. Kids’ toys must all fit in one closet, cabinet, or trunk. All craft supplies should fit in one dresser. Board games can only go on two shelves. All kitchen items must fit in the kitchen cupboards – nothing can be in storage. You get the idea. The space limit can be anything that works for you and your family. I’ve found that setting space limits is a good visual representation of if we’ve acquired too much stuff. I’m not always great at keeping up with the “one in, one out” rule. However, I can tell if we have more clothes than we need if we suddenly don’t have enough hangers. Once the space limit is reached, you can then declutter and get rid of what you don’t need. You can also choose to reevaluate the space limit and decide if you need a bigger one. If you do think about increasing a space limit, it’s good to identify why. 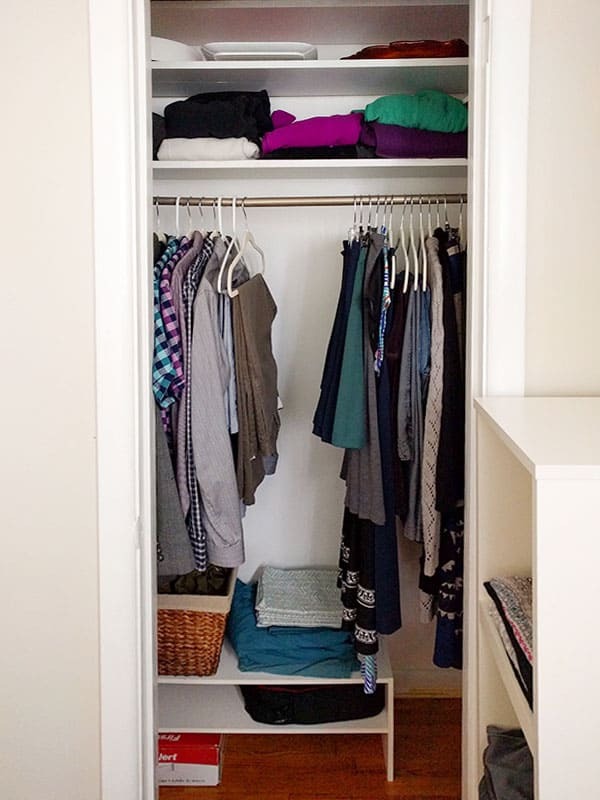 “I survived just fine with 50 hangers, so why do I suddenly need more clothes?” Maybe there’s a good reason or maybe you just don’t wan’t to declutter. We’ve decluttered our board game collection quite a few times. While it seems silly to get rid of games that we could have made room for, we love that our collection is made up of only the best. It’s nice to be surrounded by your favorite things, not just all of the stuff that somehow made its way into your home. Sidenote: I’ve heard this method works especially well for kids’ toys. If you have a set space limit for their toys, they know that if the space gets too full they’ll have to let go of a few. It might be hard at first, but they’ll probably find that they enjoy being surrounded by the toys they love most. Setting space limits in our house has helped us realize when we need to go through things and decide what we really want to keep. I love that they give a visual way of knowing we have accumulated too much. I hope you’ll find space limits useful in your home too! ⇒ Have you set space limits at all? 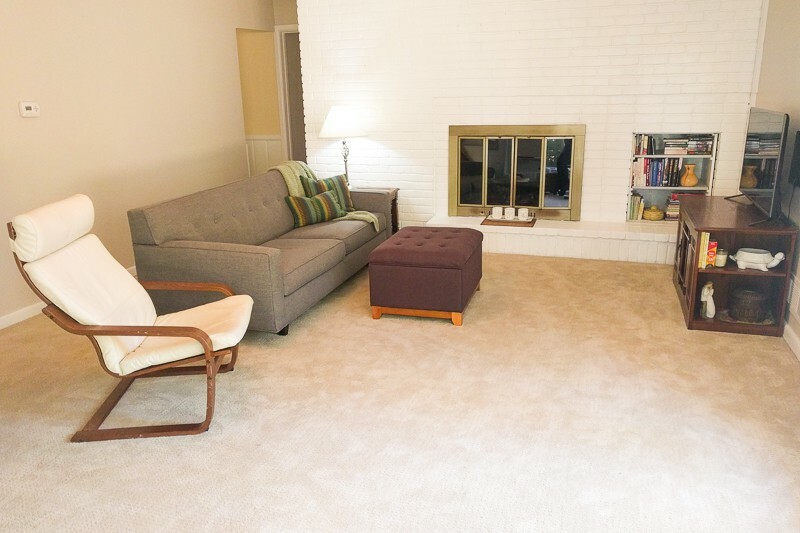 Have they helped keep your home clutter free? Thank you for this post! 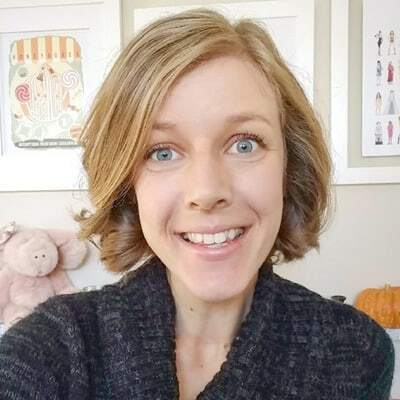 I regularly declutter and have heard of this method but needed the reminder. All good ideas! I really like the limited hanger rule. I’m so glad it was helpful Stephanie! Thanks for commenting! Very helpful, best also to stay out of outlet stores and clearance sales unless you eliminate older items first. Cleared out some kitchen items, gave to group home stuff I no longer used yet in good cond. Clothing purges are end of winter and end of summer of things not worn that season. I think the kitchen and closets can be problems for collecting. Absolutely! I have a decluttering routine fairly similar to yours. I started purging a bit of winter clothing today! Yes, great idea. 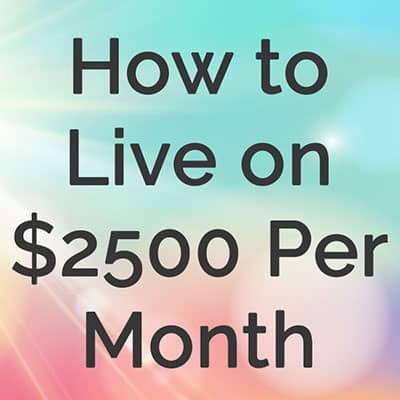 Also, maybe not adding space or numbers to those limits (aka, purchasing more storage or bookshelves or hangers so you can only increase your “limit” within each space. I feel as though that’s often the trap most people fall into. Much love.